We hope that you all enjoyed the Christmas festivities. This month at Direct Mobility Hire we have some feedback from our occupational therapist regarding an advice clinic we have been running in the local area. 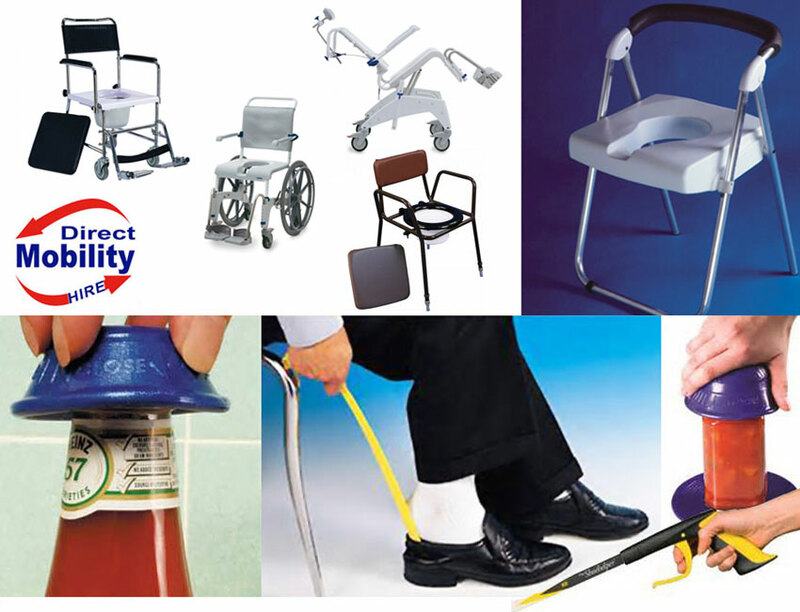 Our product focus this month is commodes; from travel commodes to tilt-in-space shower commodes we have a full range available on the hire fleet. Wishing you all a happy and healthy 2017. Our occupational therapist, Lauren, currently runs a weekly OT advice clinic from our London branch. However, it became apparent that not all individuals who would benefit from the service could easily access one of our depots. Lauren made the decision to contact various community centres, in the surrounding areas of both the London and Hertfordshire depots, to offer a free OT advice clinic. The response was positive and the first session was held at a community centre in Letchworth. The centre users found the session beneficial and Lauren was surprised that some of the users were not aware of simple tools such as jar and bottle openers. One service user reported that the jar opener would have an immediate impact on her daily living, as currently her husband was having to ask their neighbour to open their jars. People who attended the advice clinic were able to see a variety of handheld items, such as long handled shoe horns, easy reachers and long handled bath sponges. Overall it was a successful event and we are looking forward to the upcoming clinics to be held at other venues in the new year. If you know somewhere that may benefit from a free advice clinic please let us know. We also complete all servicing and repairs in-house so you can rest assured that you will be looked after, long after the purchase is complete. You can view our full range of services within the group services section of the website. This month we are focusing on the range of commodes available on the hire fleet. From static commodes to tilt in space shower commodes, we have all options covered. For clients who require a tilt in space shower commode (see image above top left) we use the Invacare Aquatec Ocean VIP shower chair. The Aquatec Ocean VIP is a tilt in space shower commode with a stainless steel frame. The seat tilt can be individually adjusted (tilt angle 0-35 Degrees), and has a stainless steel gas spring. The commode is designed to be extremely stable even at maximum tilt angle. Headrest for maximum comfort included as standard. The mobile commode (sometimes referred to as a glideabout commode) (see image above top middle) is designed with a stable, robust frame made from powder-coated steel. The commode comes with a high corrosion protection and space-saving push bar for optimal positioning over the toilet. Swing away armrests and footrests are included as standard. Also with stable commode seat with integrated toilet pan holder. We currently use the Invacare Aquatec Ocean range of mobile shower commodes (see image above, bottom left) on the hire fleet. The seat height is adjustable, and they have a tension adjustable backrest, which can be adjusted to the user for positioning of the spine. Ergonomic, swing-away armrests can be adjusted to two different height levels. Fold-away, textured footplates with heel loops for safe positioning. The static chair commode (see image above, bottom right) is height adjustable and can have removable arms, if required. They are supplied with a bucket and lid. Bariatric version is also available. Ideal for use in the home as well as when travelling, the versatile folding commode (see image above right) combines comfort with convenience.The fully height adjustable aluminium frame is both lightweight and strong. The contoured seat offers additional comfort whilst in use. The commode can be used as an over toilet frame, a commode and a shower chair.